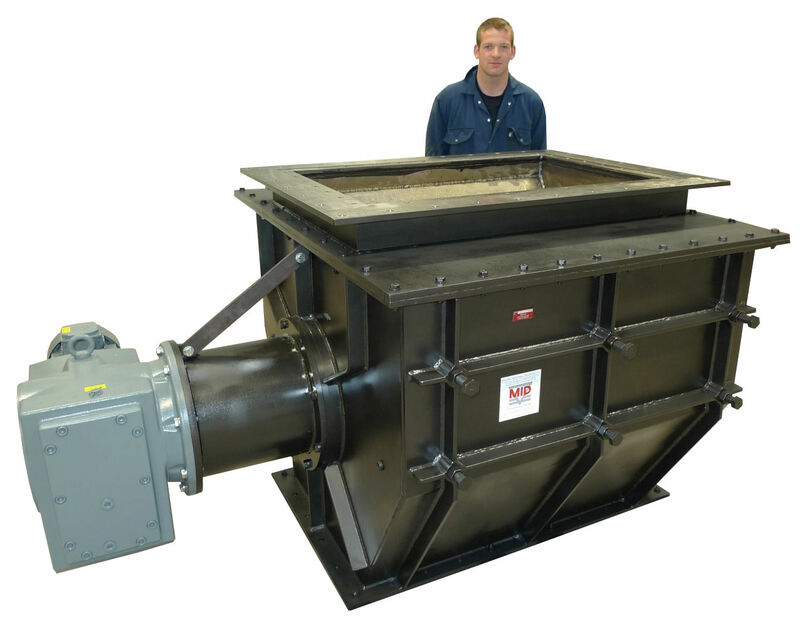 It's the biggest TWA rotary valve we've made to date. The valve has all the features you would expect from the TWA range- wear resistant rotor, adjustable liner, leak free mechanical seals and can be made "good as new" when worn by replacing the liner and rotor wear parts. The rotor turns concentrically to a tolerance of only 0.1mm and the gap around this to the liner is only 0.3 to 1.0 mm. This valve has the addition of a cushioned drive coupling and and outlet lined with Hardlite wear resistant weld overlay to help protect the body outlet. The TWA 1000 takes nearly 650 litres of product per rotor revolution and the complete unit with drive weighs in at 3 tonnes. It's been made to replace worn out valves at Cemex in Tilbury.